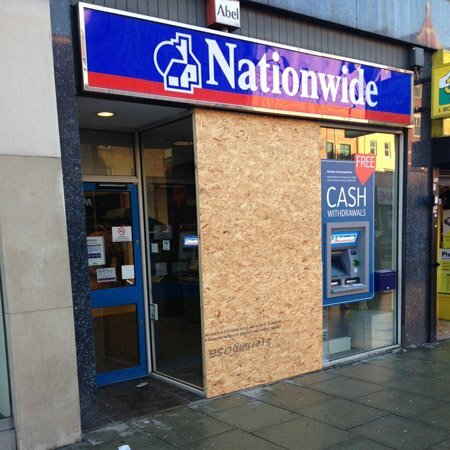 We provide shop window emergency repair and planned installations for shops all around London. With years of experience and premium, police approved work, added to that a 1hr response time with no call out fees, competitive pricing, insured workers and guaranteed work . . . why go anywhere else? All our shop window glaziers are trained professionals with many years of experience in all types of glazing / repairs. Getting your shop window fixed as soon as possible is of course always an emergency and that is why we are available any time of the day to respond to your call. Get a quick response with no call out charges. Instant quotations and call out requests can be given by calling 0203 281 1800. With over 20 years of glass replacement experience, we are experts at emergency glass repairs for shops and offices and always strive to offer a prompt and professional service.